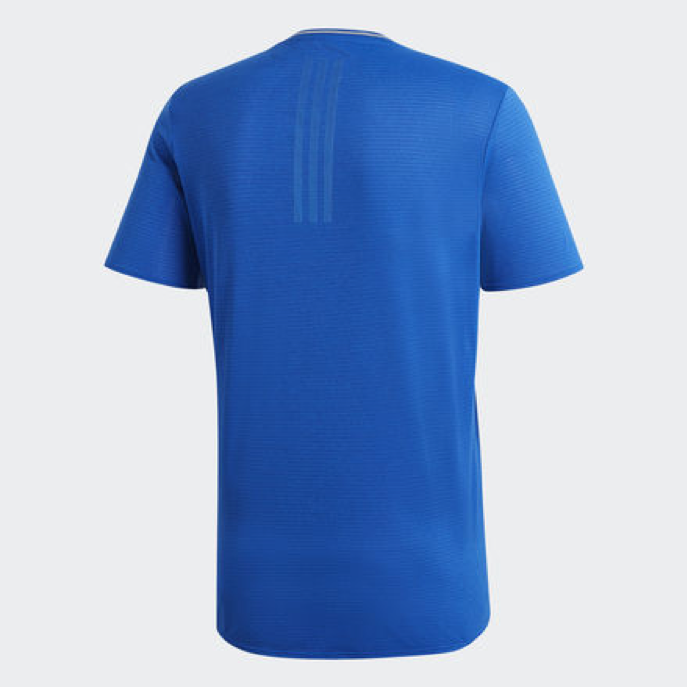 The adidas running tee Singapore uses Climalite/ Climacool or Climachill material which helps to wick moisture away from the body and onto the surface of the fabric for faster evaporation. Besides the technology employed in the running tee, the design and price matters most in a buying decision. 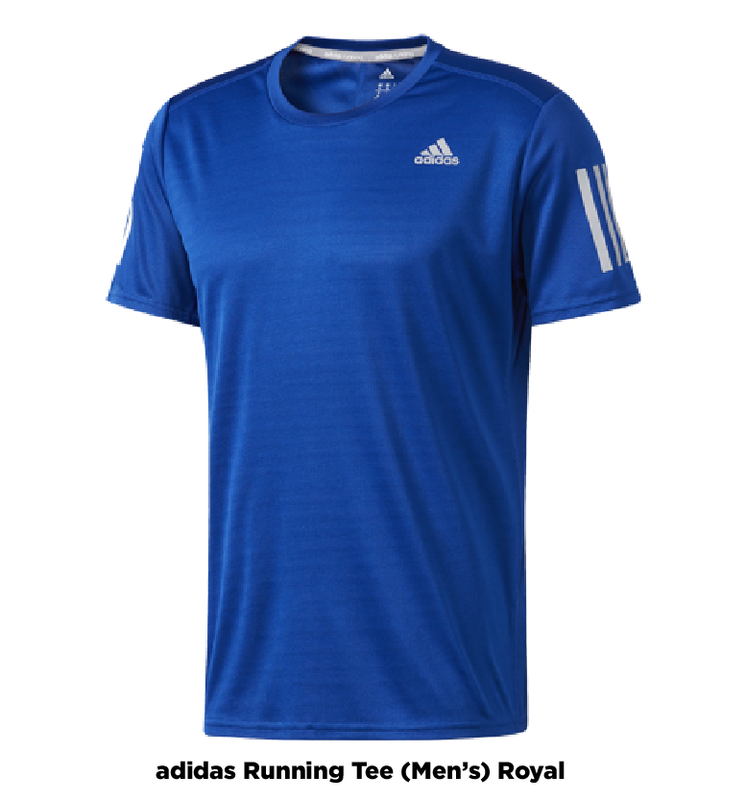 Let us look at our top 5 adidas running tees Singapore and the prices! Wow! What a name! The adidas supernova running tee sounds like something your favourite action hero might buy. One of the latest design (as of May 2018), the running tee is described as “the soft, fluid fabric adapts to your body’s movement as your arms cycle through your stride”. It comes in a regular fit, is 100% polyester pique with Climalite technology with reflective details at the back. Available in a vibrant line up of blue, orangey red, sea-green, light blue and black, be a cool trendsetter in this Supernova Running tee! 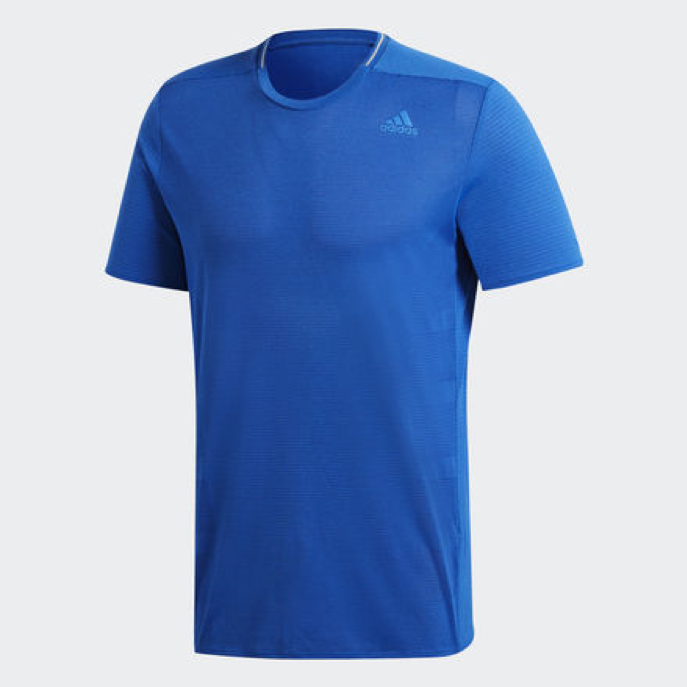 The adidas Supernova 37c running tee looks similar to the Supernova. The difference is the fabric, the Supernova uses Climalite fabric in 100% polyester pique while the Supernova 37c uses Climachill fabric with 56% recycled polyester and 44% polyester doubleknit. Whats the difference between Climachill and Climalite? Climachill keeps you cool and dry in the hottest weather while Climalite wicks sweat away from the body surface and evaporates faster. Reviews from the web is mixed, some people prefer the Climalite while some prefer Climachill. The Supernova comes in white and light yellow. If you want to do your part as a good citizen to reduce waste, the Super nova 37c is a good choice! 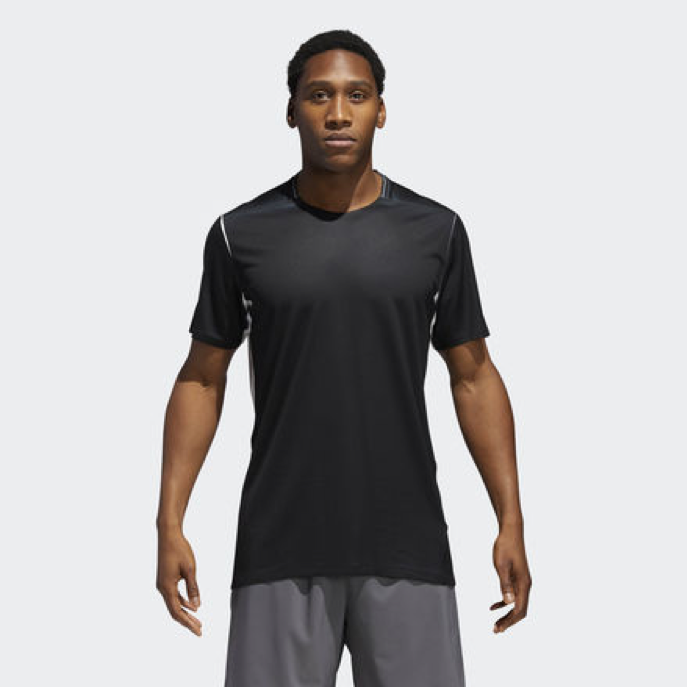 The adidas men’s response running tee distributed by Ark is made of quick drying Climalite Technology, 50% polyester, 50% polyester doubleknit with reflective details. It boasts a soft luxurious material that is very comfortable and cooling. Comes in 3 blues ( Royal, Energy Blue and Blue night) and black, it is a smart choice as you get all the great adidas features and technology at a slightly lower price! The preferred choice amongst teams and corporates, Ark can also help to print team logo and runner’s name on the running tee. $110 seems like a hefty price tag for a running tee, what is special about the Primeknit tee? 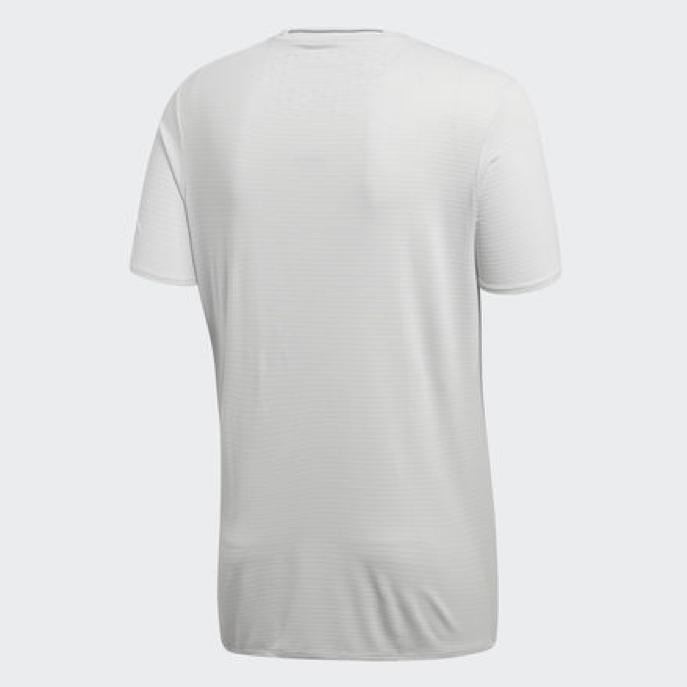 The first impression of the Primeknit tee is that it is very fashionable and nice, and the perforated designs at the sides and the back of the running tee looks nice. The second impression is that it looks thick and warm, is this meant for running in cold weather? 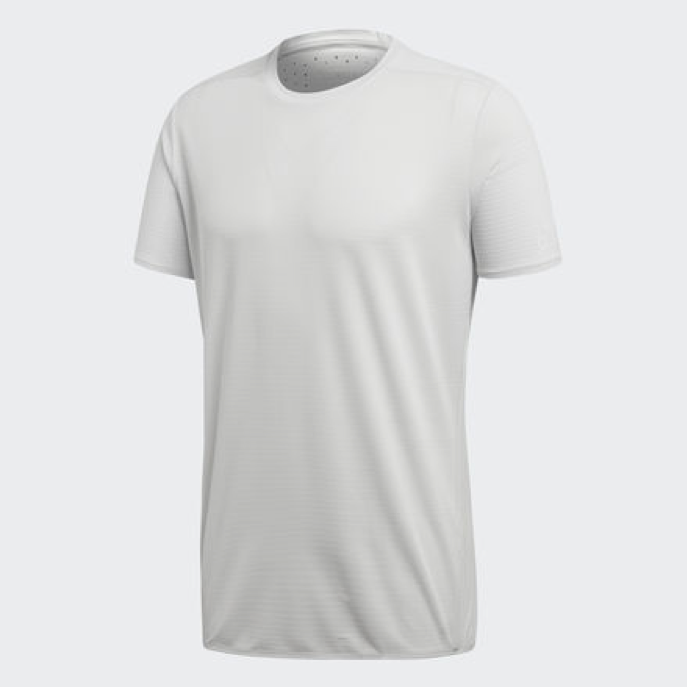 According to addias website “You may not be able to control the temperature when you run, but this men’s t-shirt manages how your body responds to it. adidas Primeknit Wool intuitively provides just the right amount of warmth or cool. 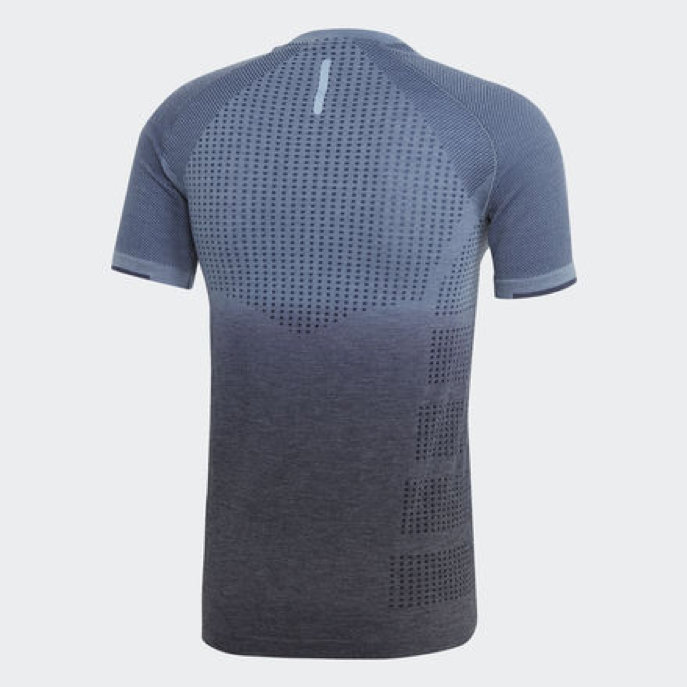 Smooth seams and tubular construction give this tee a comfortable, natural fit.” Sounds like an interesting piece of running tee to try out if you are going to be running in cool weather or in an air conditioned gym, but at $110 apiece, you might like to wait for reviews first. 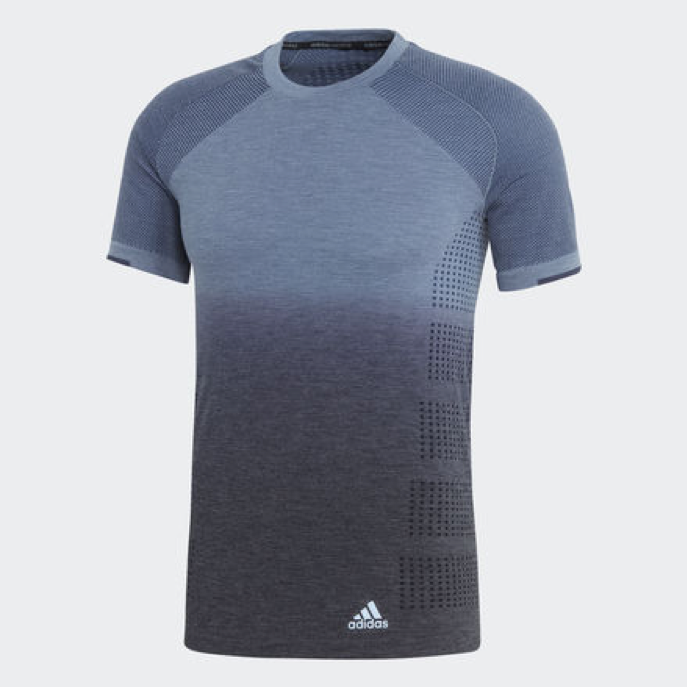 The adidas Supernova TKO UV tee is quite interesting and worth a try. The Tee comes in 2 different colours, black in front and white at the back. It boasts both the Climalite Technology as well as UV protect of 25 SPF. Lightweight, breathable and fashionable, wear this for your next run! For the latest adidas Singapore designs, be sure to visit www.adidas.com.sg . If you are thinking of buying multiple pieces for your sports team or corporate events, do contact Ark Industries at +65 63520988 or send a message below. Ark Industries is a corporate distributor of adidas running tee Singapore and can also help to customisation of outfits like the printing of logos or team member’s names on the running tee.